Chipotle (CMG)hiked its prices, opened new restaurants, and its new CEO is out making promises of a bright future. And investors are loving it. The burrito chain's stock soared more than 24% Thursday, marking one of its best trading days. Chipotle said in its latest public earnings report that its revenue climbed 7.4% last quarter compared to the same period last year. Wall Street cheered those results and appeared to be further encouraged by an interview Chipotle's top executive, former Taco Bell chief Brian Niccol, gave to CNBC Thursday morning. Niccol hinted at plans for a marketing push and possibly tweaking its menu. "I think we've been way too quiet on what the purpose is," Niccol said, which he described as offering "food with integrity that's craveable." He added that, for now, the company will focus on its current offerings of burritos, bowls and salads — but he didn't rule out adding new flavors and menu items. That won't, at least in the near term, include breakfast items, such as a breakfast burritos, Niccol said. "I think there's actually a lot of other things we could be doing to grow this business," he said. "But that's not to say that's not an opportunity longer term." According to the earnings release Wednesday night, Chipotle's revenue increase was "driven by new restaurant openings." 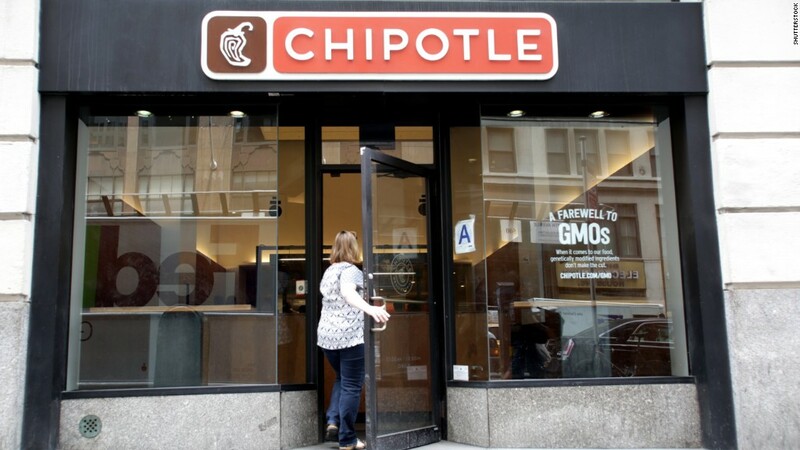 Steeper prices led to a 4.9% bump in total revenue from Chipotle's existing locations. That "partially offset" the fact it saw fewer total transactions, according to the press release.